Getting a little tired of walking your pooch around the same neighborhood? Need a little change of scenery? We don’t blame you! There are several trails and parks located on Long Island that are dog friendly. So get up, gear up, leash up and get your walk on! Belmont Lake State Park is located in Babylon. Just off the Southern State Parkway, you can see the beautiful lake while driving past. So you've welcomed a new furry family member into your life. Awesome! That may have been the easier decision compared to picking out the best leash, collar and/or harness for your pup! 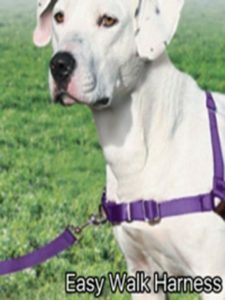 We recommend an array of different collars and harnesses depending on the size of your pup and any walking issues. But, there are only two leashes we recommend. A standard 4 or 6 foot leash with a clip that you press DOWN to open (opposed to those that you press IN) is always a great choice. The other preferred option is a slip lead which slips over your dogs head and is a collar/leash all in one! If you choose a slip lead, your dog should also be wearing a separate collar to hold his ID tags. Collars come in many different styles and fabrics. 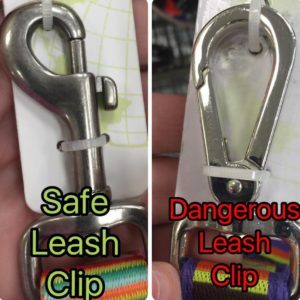 While a standard nylon collar is acceptable, most dogs who are not well trained to walk on leash will pull and this type of collar won't help. For dogs who pull we recommend an Easy Walk Harness. This can be purchased online or from the training aisle at your local pet store. It is NOT a traditional harness that clips on the back. The Easy Walk clips by the dogs chest. It has a pulley mechanism to help stop the pulling. 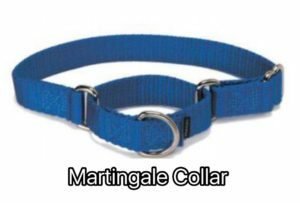 A martingale collar is a great choice for dogs who don't pull too much and have been known to escape their traditional nylon collars. This collar tightens when the dog pulls and when fitted appropriately, there should be no way for the dog to get out of it during his walk. These are just some of the tools we recommend in order to help you experience an enjoyable walk with your pup. If you are unable to walk your dog because of work obligations or physical limitations, Suburban Pets is happy to meet with you and discuss your needs!